30+ Years Servicing the Health & Gym Industry! Where You Always Save More Money! 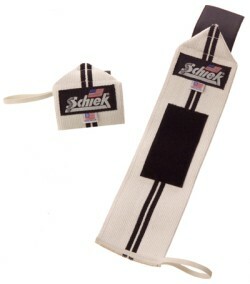 Schiek Model 1112 Wrist Wraps are 12 inches in length for added wrist support. The wraps are made with 3" wide extra heavyweight cotton elastic and have a wide hook and loop closure. Made in the USA. © 1999-2019 TMicheal.com All Rights Reserved.